Winter weather isn’t only dangerous for drivers when ice lies around a bend or snow is falling from the sky. The limited daylight hours, low sun, wet leaves, standing water and submerged potholes all make for particularly difficult driving conditions. Drivers who don’t always feel confident when faced with such challenges – and many don’t – would benefit from taking a driving course specifically aimed at dealing with winter weather. 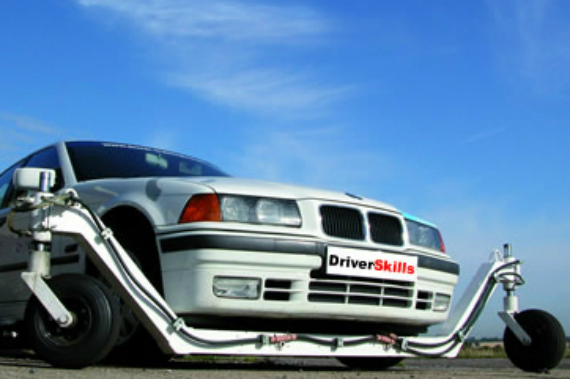 There is a wide variety of training available, tackling everything from aquaplaning to driving on ice. Prices range from affordable refresher courses to once-in-a-lifetime experiences. Here’s how you can stay safer, and feel more confident, when driving in the most tricky of all the seasons. Picture a car built onto a super-size trolley, and an instructor sat in the passenger seat fiddling with an innocuous looking box of tricks from the passenger seat. One minute your car is driving perfectly normally, the next it’s lurched into a dramatic drift, as though it has hit a patch of sheet ice. Happily, if you don’t correct the emergency situation the first time, you won’t end up in a ditch, with the car on its roof. You get as many goes as you like, and will eventually develop the skills needed to ward off potential disasters before you can say crash, bang, wallop! It may be one of the best known racing circuits in Britain, but Goodwood has something that’s arguably a lot more fun and relevant for everyday drivers: the ‘low grip area’. 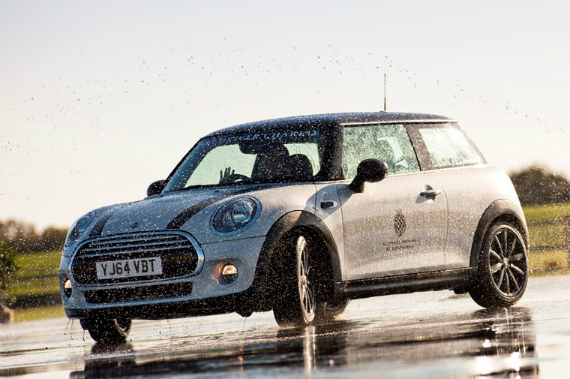 The specially prepared road surface simulates slippery surfaces, and means an instructor can safely help drivers learn to manage emergency situations, such as braking on water or ice, understeering across a road or countering oversteer. The course lasts for 90 minutes, and features Mini and BMW cars. Mercedes-Benz World is the most impressive purpose-built experience centre of any car manufacturer in the UK. 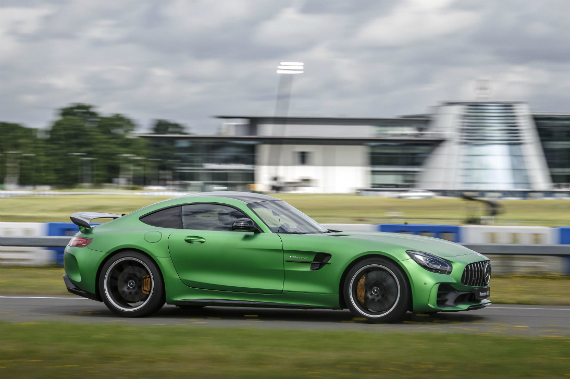 Sat within a stone’s throw of the historic Brooklands race circuit, it’s an impressive facility and the AMG 1 Hour Experience will leave drivers craving more – just as Mercedes would hope. 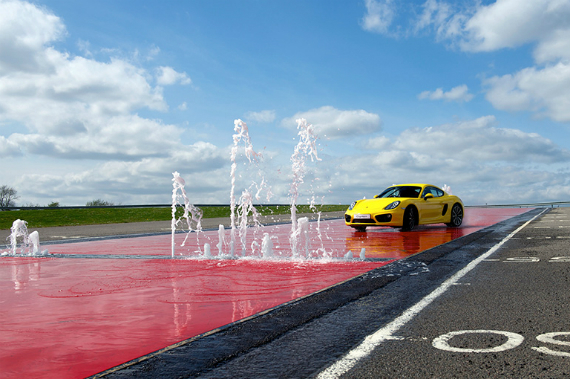 Nestled just the far side of the crash barriers of the Silverstone Grand Prix circuit, the Porsche Experience Centre will hand ‘learner’ drivers the keys to a 911 and let them choose which areas of the impressive facilities they’d like to focus on. The wet-weather simulator is where you need to go to really build confidence and hone car control. It features water jets that rise from the ground, acting as a slalom which you must neatly navigate while driving on an ultra-low friction surface. Needless to say, the car will end up facing every which way until you get the hang of it. 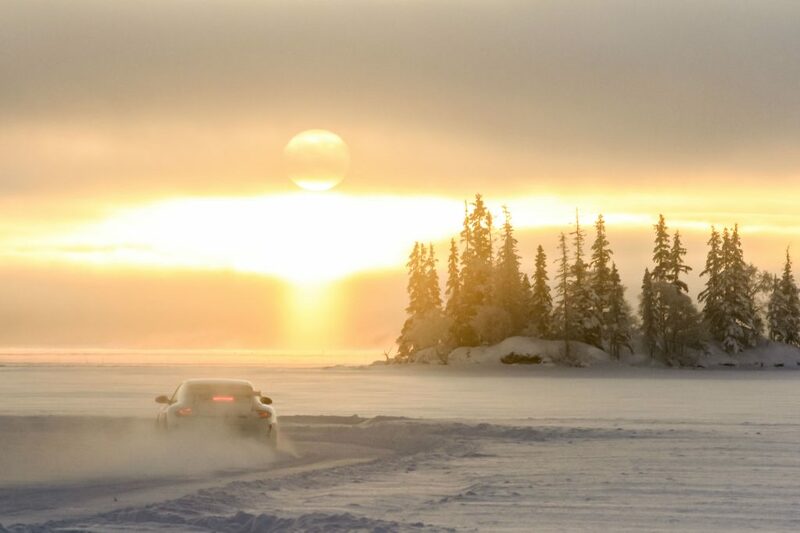 If you want to blow the budget, and spend two days perfecting the art of drifting a car sideways around not one, not two, but three Grand Prix circuits carved into an ice lake, this is the winter driving experience for you. The price includes use of a Porsche Cayman S, but excludes travel and accommodation – which can be added. Want something even more extreme? Try driving a Ferrari 458 Italia, and why not add a snowmobile and dogsled tour while you’re at it? Just don’t forget to pack your thermals. 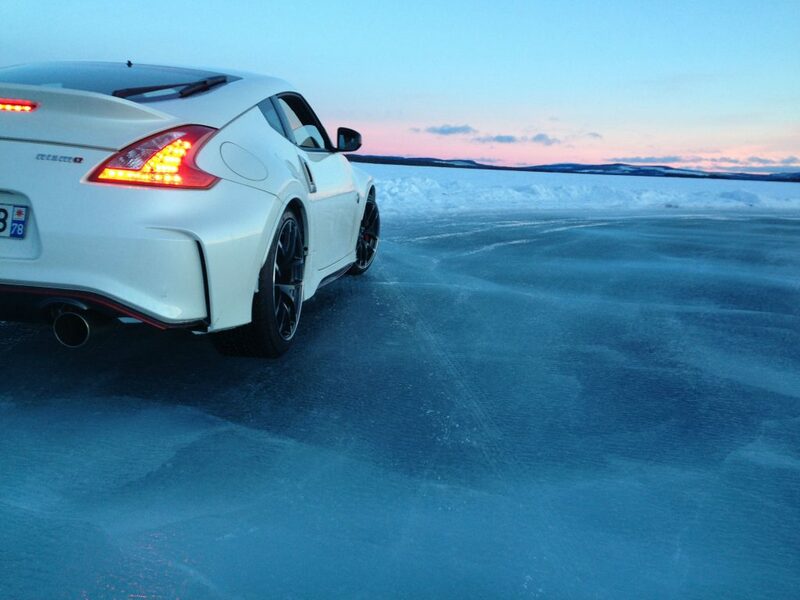 is there a winter course with a skid pan car near the midlands?